Iberia Blue Unipessoal Lda was founded by Dave Mitchell in February 2007. 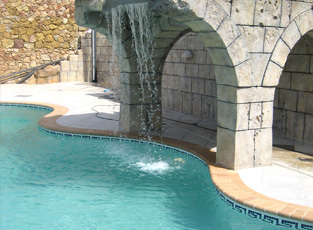 Our company has rapidly expanded to one of the major companies in the Algarve and Portugal offering a unique and specialized range of pool designs and finishes. Iberia Blue's clients deal with the person who is the business owner, sales consultant and builder all in one. This enables us to offer exceptional personalised ongoing service. We maintain a highly professional staff that understands and responds to customers needs in a friendly personal manner. We create a 'sense of place" an environment in which people can entertain, play or just simply relax. 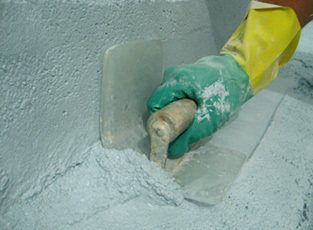 We constantly strive to have your installation completed on time and with minimal inconvenience. Iberia Blue are a solid and financially stable Portuguese Company that you can trust to do the right job on time every time. The other side of our business is the installation of pool safety products. This is a side of our business we are very passionate about. Back in summer of 2005 while Dave was constructing a pool when he witnessed a tragic drowning of a young boy whose family had just arrived on holiday that morning. Being a family business and having small children ourselves we are dedicated to helping families protect their loved ones. In 2010 and 2011 we were very excited about our chance to sponsor APSI (and Edite) in their campaign to raise awareness of the ever present dangers of drowning.